Prior exploration in the permit area focused on (1) the San Colombano high (dry wells 1-5) where the Pliocene to Messinian section is largely absent; and (2) the western & northern areas (5 dry holes). The main plays in this permit are Lower Pliocene to Upper Miocene biogenic gas and possible thermogenic oil & gas. 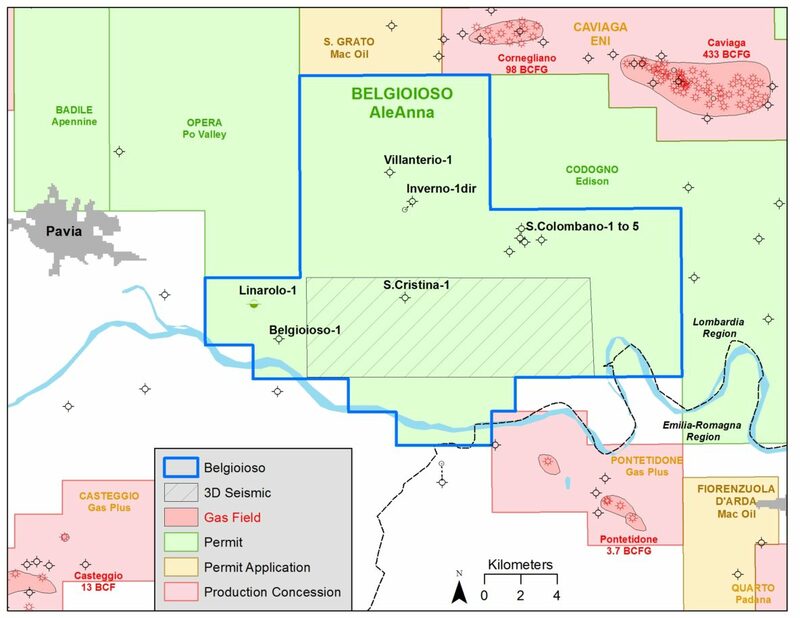 AleAnna acquired a 88 km2 3D seismic survey in 2016 in an area on the south side of the San Colombano high, leading to the identification of Lower Pliocene prospects with positive AVO. A drilling permit has been filed for one of the prospects and anticipated drilling is Q1 2019.